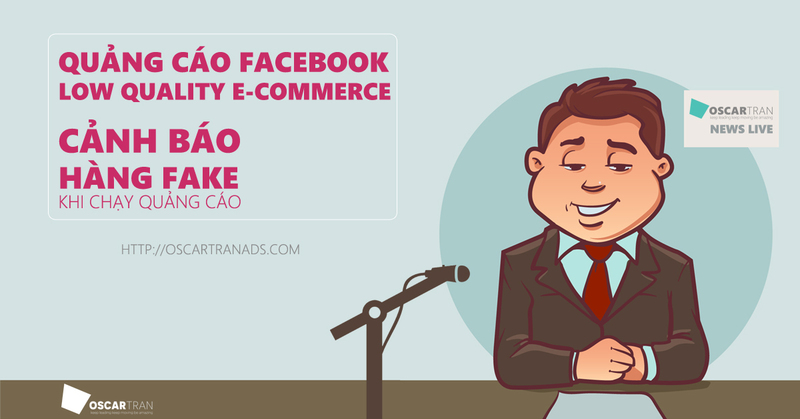 DMA Talk 7 là chuỗi sự kiện chia sẻ kiến thức và kinh nghiệm về Digital Marketing do Nhóm Digital Marketing Agency trên Facebook tổ chức. Chủ đề Talk 7 “Quản lý khủng hoảng bối cảnh mạng xã hội”. 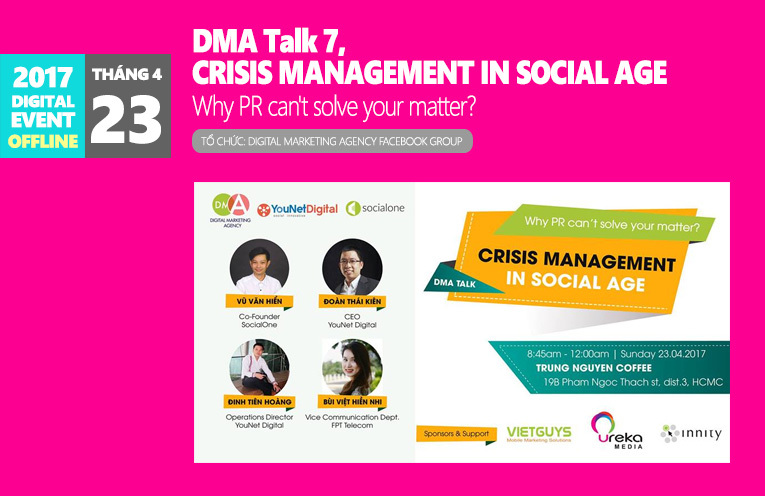 Why PR can’t solve your matter? Before Social Media emerges, Newspaper and Television is the hub where information on crises/scandals appears. Today it’s social media, particularly in Vietnam it’s facebook. Before to manage crisis, it’s more about media relation, today it’s community relation and prevention is the only effective solution. So, what is the most effective way to manage crises in Social Media.